We are a leading Manufacturer of ir-bz series compact infrared thermometers, ir-ha series portable radiation thermometer, ir-ba series high-speed compact radiation thermometers, ir-esc series scanning type radiation thermometers, ir-esf series fiber optic scanning type radiation thermometers and ir-sa series on-line infrared radiation thermometer from Mumbai, India. 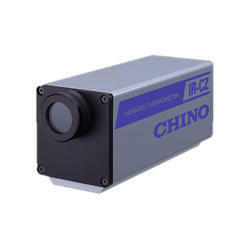 IR-BZ has separated detector and main unit to make the detector smaller and can be used at high temperature condition. 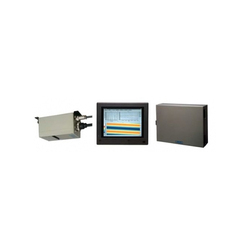 Main unit has digial temperature displays and parameter setting function. 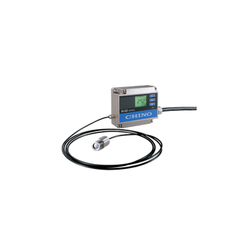 Enables long stable measurement at affordable price. High accuracy and stable measurement even the environment temperature changes. High speed response time 15ms, corresponds to production line requiring quick tracking. CE EMC directive…EN61326-1 Class A (except IR-BZPHGE8, IR-BZPHGEF) Conformity requirements …Use of power supply for IR-BZ exclusive use and the connecting cable up to 30m(indoor use). The IR-HA series is a compact, lightweight handheld radiation thermometer, which can be used for medium temperature (300 to 1000°C) and high temperature (600 to 2000°C), as well as two color (600 to 2000°C) and monochromatic up to 3000°C) can be switched and used as a high function type is available. 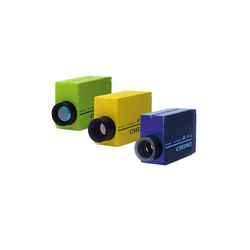 With a fixed focus, the measurement distance is 4 m and the measurement diameter is as small as φ 20 mm, with a direct view finder, so you can quickly measure the target point. External input K type thermocouple (Connecting through connector) : -50 to 800°C Accuracy: ±2°C (At 23°C ±5°C) auto emissivity (ratio) calculation available. 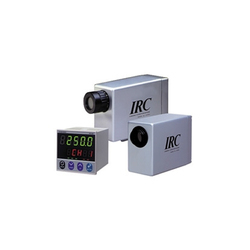 The IR-BA series is a non-contact and high-speed compact radiation thermometer. The card sized thermometer with built-in signal converting function of 4-20mA output can easily be installed in narrow places, production lines and small equipment. A standard speed type and a high-speed type (50ms/95%) are respectively available in standard type and small-target/short-distance type and small-target/long-distance type, and special application types for glass, lamp-anneal, film, and burning gas. Indicator with power supply, converter with reflection correction, etc. 2. All of the thermometer, the connection cable, and a DC power unit should be used indoors. The IR-ESC series is scanning type radiation thermometers for low temperature and is applicable to measure width-direction temperature patterns of moving or rotating objects. The temperature range is 100°C to 600°C. The system is consisted of a scanning unit, a display/operation unit with a built-in exclusive software for operation and graphic display, and connection cables. The small sized (300 x 200 x 120mm) scanning unit is easy to install. The temperature range is wide (100°C to 600°C). The display/operation unit with a built-in exclusive software displays thermal-images in pattern, trend and color modes (Windows95 or WindowsNT4.0, to be specified). The output is 0 to 5VDC for 7 position points + 1 peak point or 3 zone peak points. An exclusive kiln shell software for cement kilns is separately prepared. The IR-ESF series is applicable to measure width-direction temperature patterns of moving objects. The system is consisted of a scanning unit, a display/operation unit with a built-in exclusive software for operation and graphic display, and connection cables. Two kinds of elements, InGaAs for medium temperature and Si, and two kinds of measuring systems, single-color type and 2-color type, are available. The small sized (100 x 150 x 85mm) and light weight (about 1.3kg) scanning unit is easy to install. The display/operation unit with a built-in exclusive software displays thermal-images in pattern, trend and color modes. Si: 1000 to 1600°C, 1200 to 2000°C. The IR-SA series of Infrared Radiation Thermometer provides broad selection of small & robust units to match your on-line applications for non-contact temperature measurement from 0 to 2500 DegreeC under harsh environment. Four models are available with modbus connectivity for parameter setup through remote setting unit or PC. The IR-CA series is a non-contact and high-speed (2-15ms) compact radiation thermometer covering medium and high temperature range by using the detecting element of InGaAs or Si. The thermometer with converting function has a digital display of temperature, parameter setting keys, and a direct viewfinder. The thermometer can be placed at any place due to a large distance factor. Stability and durability is improved to continuous ultra-high temperature measurement. Achieved high accuracy by calibration of metl/carbon eutectic point traced of which Japan's first high temperature fixed point. Single color and 2-Color measurement of each 3 wavelengths are switchable. Response time is improved to correspond measuring value drastic change. 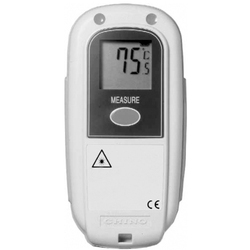 The IR-AH series is non-contact handheld type digital radiation thermometers for the measurement of temperature. 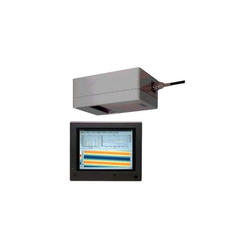 The thermometers have features of a wide measuring range from -50°C to 3000°C, digital displays of the measured value in the finder and on the panel board, and storing function of the measured data. An RS-232C port is provided to transmit the measured data to a personal computer. With a Data Logging Software (sold separately) , you can analysis and manage the measured data. Maximum 1000 data can be stored. The data stored are readable on the display with index numbers for easy classification of data. A measured value is digitally displayed in the finder and on the panel board. The analog output of 0 to 1VDC is offered at an optional specification. By using an AC power adapter (option), the continuous measurement enabled. 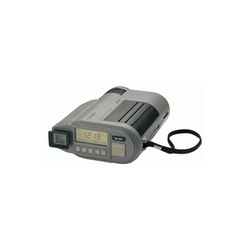 Various functions including high/low alarms, °C/°F selection, auto-power-off, battery check and user's calibration (zero/span) are available. All models are complying with CE. Models For medium/ high temp. IR-AHS For high temp. The IR-CA series is a non-contact and high-speed (3ms) compact radiation thermometer covering medium and high temperature range by using the detecting element of InGaAs or Si. The thermometer with converting function has a digital display of temperature, parameter setting keys, and a direct viewfinder. The thermometer can be placed at any place due to a large distance factor. Functional digital display of temperature and parameter setting keys. Free installation by a direct viewfinder and a long distance factor. High accurate type with a short spectral response. No moving part like as chopper guarantees long reliability. Various accessories for every kinds of installation atmosphere. 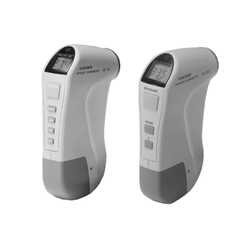 The IR-TA series hand-held type radiation thermometers measure temperature quickly from a distance - without contact. Ideal for applications in fields such as refrigeration show cases, transportation, storage, electronic/mechanical parts, food processing, construction, power facilities, etc. Automatic backlit LCD display at dark places by a brightness sensor. Automatio power off for saving battery life. Maxlmum or minimum temperature display. Audible buzzer high alarm standard. Emissivity adjustable 0.30 to I .90 in 0.01 steps. Model IR-TE palm-sized infrared thermometer is designed to measure the surface temperature of objects without making contact with them. The built-in laser sighting pinpoints the center of the area being measured on the target. ABS resin housing with sanitary specification - fits in your safety program. Auto power-off function for saving battery life. Wide temperature range of -40 to 300 DegreeC - DegreeC/ DegreeF selectable. Palm sized and lightweight - easy to use in your hand and easy to carry or store away. Traceability certificate available upon request (sold separately). For long time storage, removing of batteries is required.